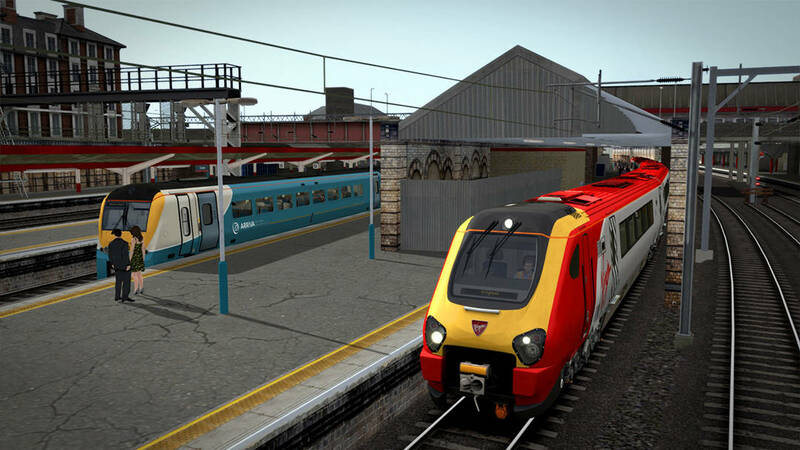 Starting off on the West Coast Main Line at Crewe, a historically important railway junction, the line to Holyhead branches due west, passing by the Heritage Centre which houses the classic and ill-fated APT-P. 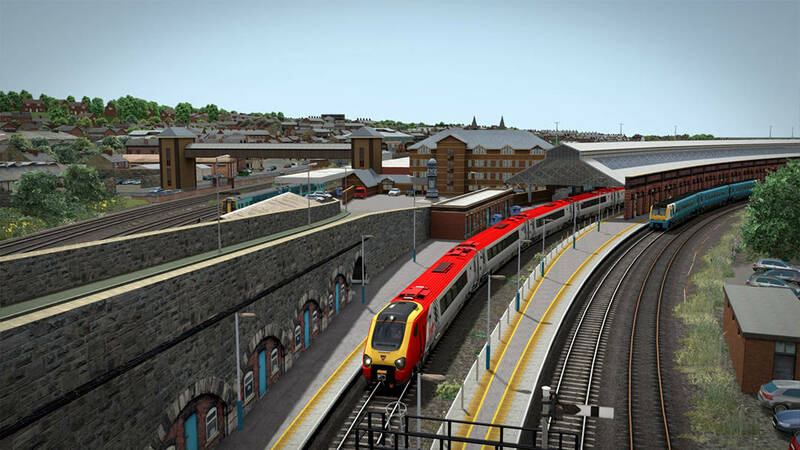 The line sweeps through the countryside before arriving at Chester, another junction station with railways from Liverpool and Cardiff joining from the north and south – some Virgin Trains services terminate here, however many due continue onwards to Holyhead. 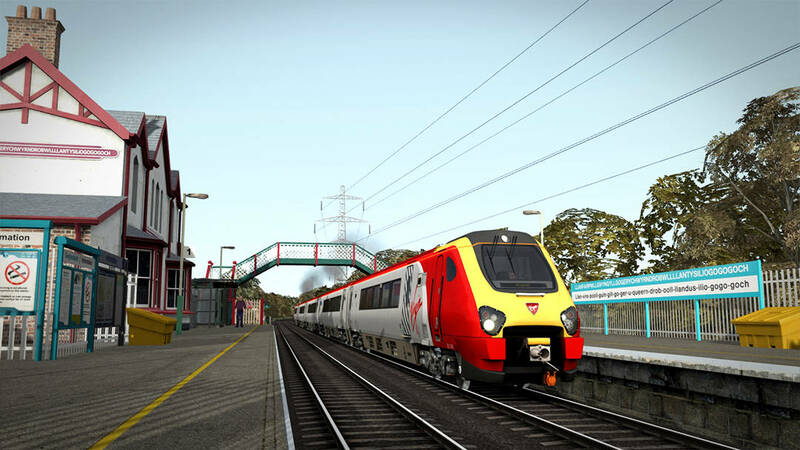 The English/Welsh border is situated not far from Chester, so by the time you pass through Shotton station, you’re already in the Old Land of Fathers and start directly following the North Welsh coast, following in the footsteps of those which wanted to link the mainland to Ireland by means of rail and ferry crossing. 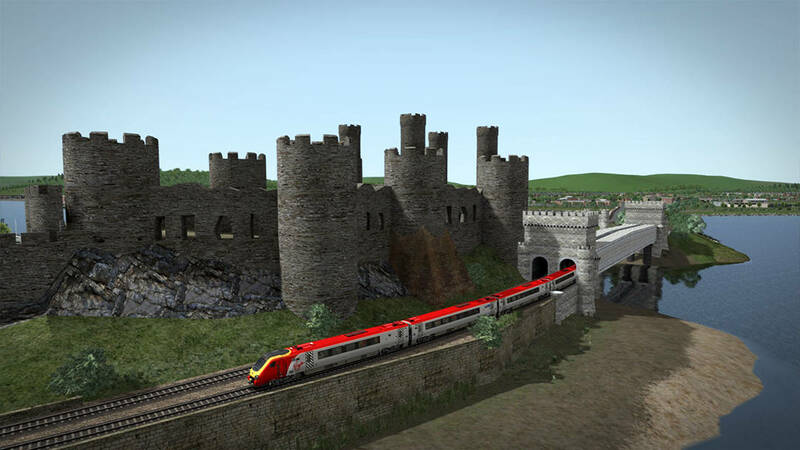 The line splits at Llandudno Junction, a branch heads north to the seaside town of Llandudno, while the main line continues over the Conwy River, via a tubular bridge, before passing through the namesake town’s ancient city walls. 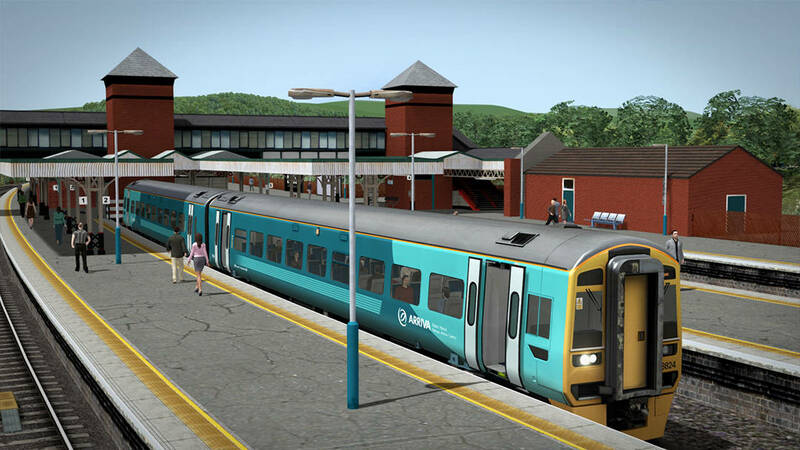 From here, the track is all new to Train Simulator, as the line finishes cutting through Conwy and continues west via Penmaenmawr, closely sticking to the coast and dancing with the A55 carriageway. 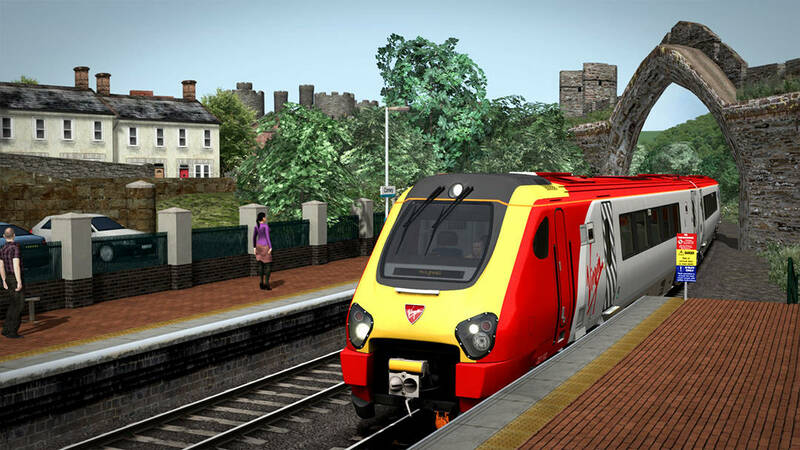 It soon arrives at Bangor, another terminating point for some Virgin Trains services, and a popular gateway to Snowdonia National Park. 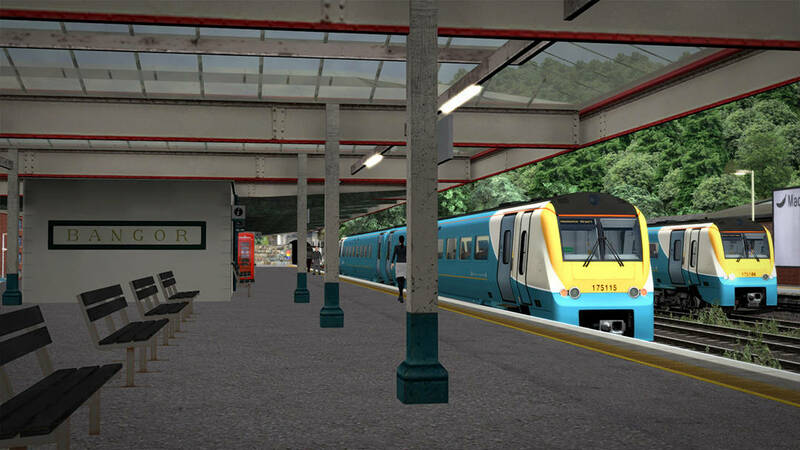 Bangor is also the last station on the mainland. 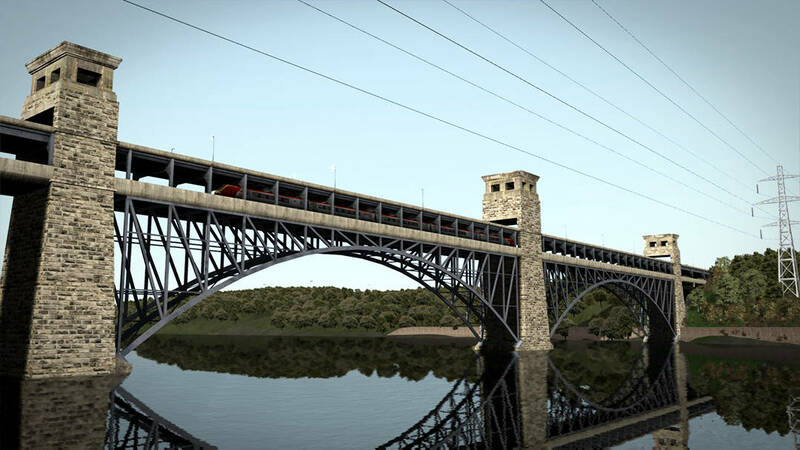 The line falls into a single track section, and curves onto the Britannia Bridge, a dual-level crossing which takes the A55 and North Wales Coast Line over the Menai Strait to the Isle of Anglesey. 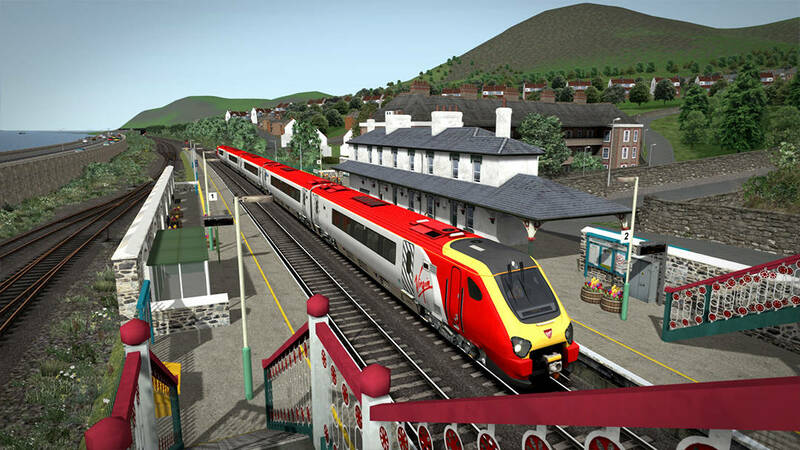 Translating to “Saint Mary's Church in a hollow of white hazel near the rapid whirlpool of the church of Saint Tysilio with a red cave”, Llanfairpwll is the longest single-word place in all of Europe, and the second longest in the World. 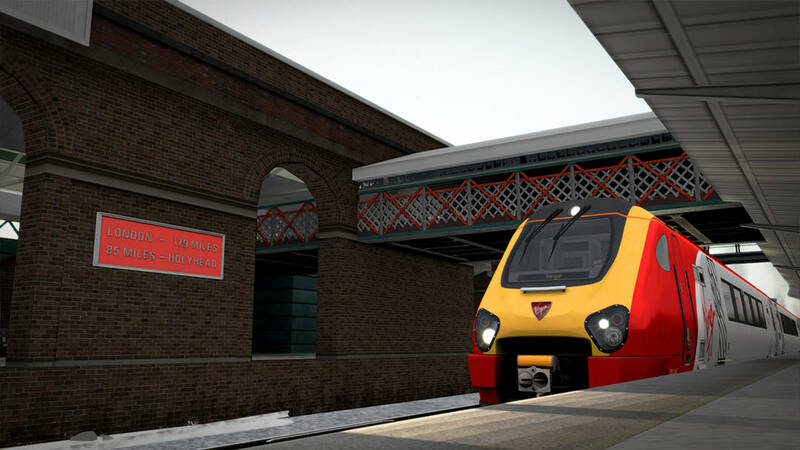 The station itself brandishes the name on an extra-wide board, complete with phonetic spelling allowing non-Welsh speakers to have a go at pronouncing the iconic name. 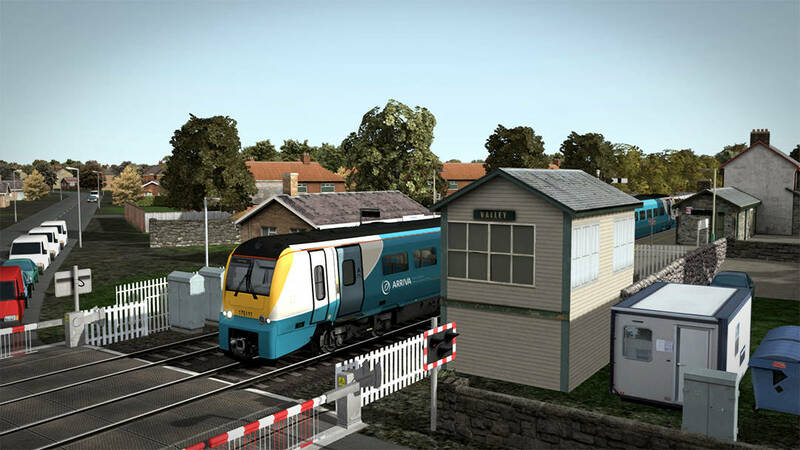 After traversing Anglesey, the line passes over a small channel which separates the bulk of the land with a 15 square-mile island known as “Holy Island”, it is upon this small land that Holyhead is situated; the largest settlement in all of Anglesey, home to most of the residents of Holy Island, and the terminus of the North Wales Coast Line. From Holyhead, ferries carry passengers, and historically mail, across to Ireland. 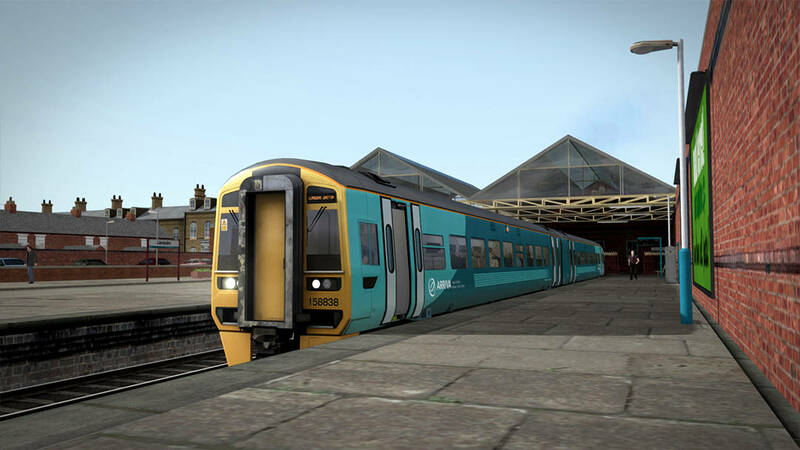 Enriched with fascinating history, iconic structures and unbeatable views, the North Wales Coast Line is fantastic throughout, and now you can dive in and drive it in full, as the North Wales Coastal: Crewe – Holyhead route extension is available for Train Simulator! 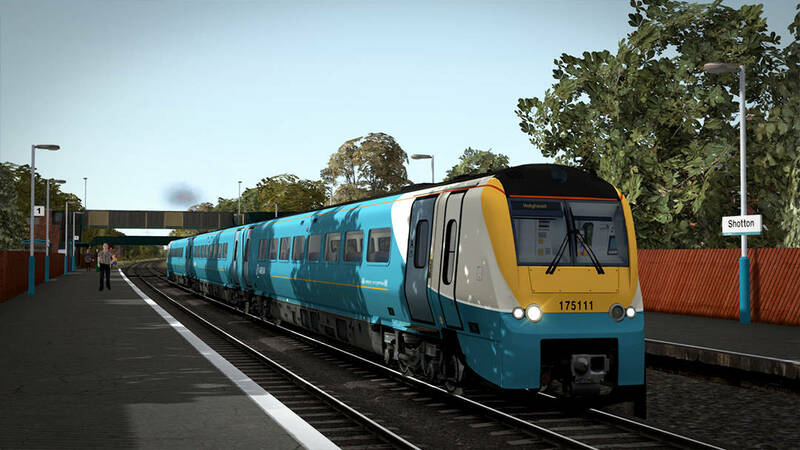 Note, you must own the original North Wales Coastal route to play the content featured in this route extension.